There is a definite phenomenon in my life that when I like something, they stop making it. It all started with ‘All Butter Crunch’, an own-brand biscuit from the UK supermarket Sainsburys. It was a feature of my youth – all the elder Chillikebab clan loved them. In some ways, my passion for biscuits perhaps stems from that one sweetmeat, fondly remembered from when I was eight years old. And then they stopped making it. (The same thing happened with Coffee and Walnut Angel Delight, I recall). 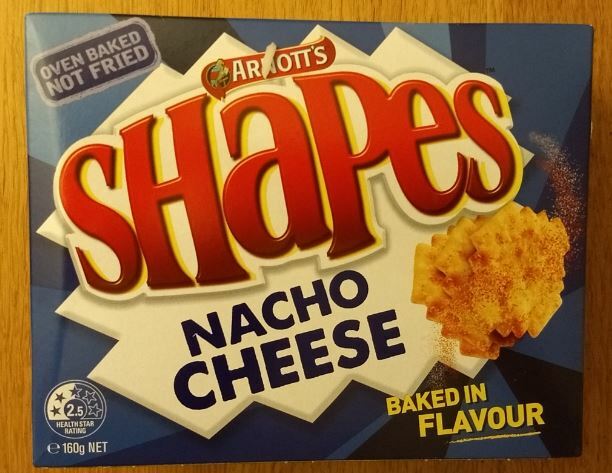 More recently, they stopped making Cheesy Stars. 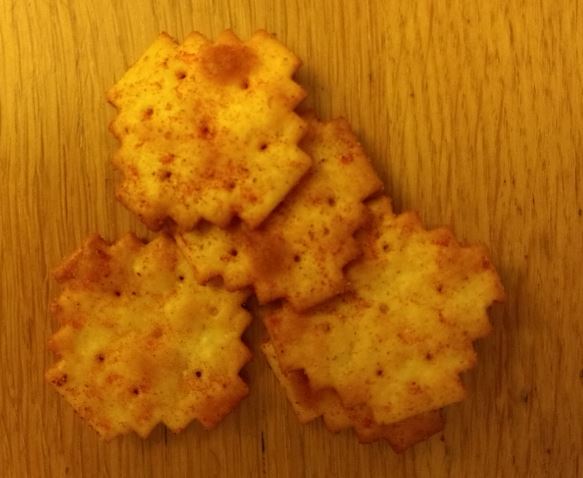 These were a star-shaped cheesy snack that you could buy in Coles. They were quite a feature in the contemporary Chillikebab household – especially by Mrs Chillikebab, who loved them, ploughing through packs ostensibly bought for the kids lunchboxes. Anyway, they stopped making those too. 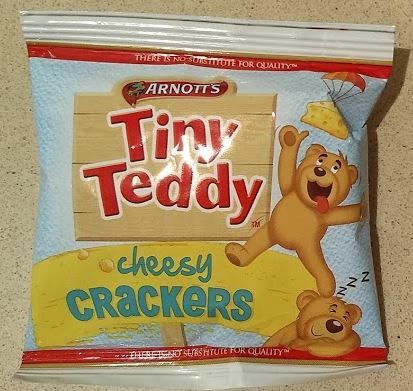 But never fear, dear friends, for into that breach has stepped Arnott’s, with a re-imagining of the Tiny Teddy into a whole new dimension. Yes, savoury Tiny Teddies. Who would have thought? They are cheesy, and crackery. This brings a whole new level of chompability to the genre – they have an excellent crunch, and a good salty, cheesy flavour. We like them. Not quite as much as cheesy stars, but almost. 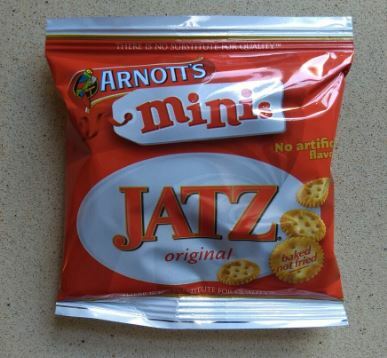 I wonder if Arnott’s are planning any over savoury cross-overs? Other than the famous cheese Tim Tam, of course. I’m going to give these an eight out of ten. S ome years ago, a good friend of mine married an Italian girl. (But not in Algiers). And when we went to visit, she made tiramisu. I also remember her trying to get us to say it correctly (‘Tieer – ra – meeee – su‘), with little success. Anyway, it was quite the best tieerrameeesu I have ever tasted. If you want just a hint of how it tasted, you could do worse than go out and get some of the new Iced Coffee Tim Tams. They are the last in the new Messina flavours, and one that several of my work colleagues were particularly excited about. What is it with Australians and coffee? Just the mere mention of ‘going out to get a coffee, anyone want one?’ elicits a collective orgiastic groan, followed by excited gasps of ‘Yes! Yes! Yes!’. Honestly, no decorum. I just drink tea. Bah humbug. 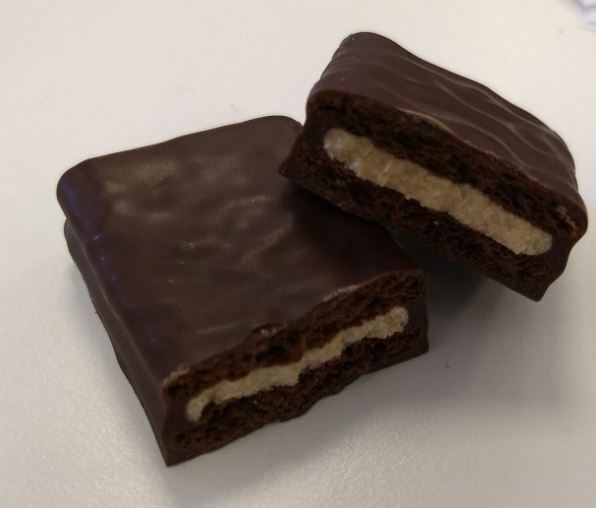 Anyway, these new Tim Tams sort of taste a little like coffee, but a whole lot like tiramisu. More creamy vanilla, less coffee. That said, they are really quite good – not too sweet, with a good balance of flavour. I’m going to call it – these are the best Messina flavour so far. They get a nine out of ten. When I was a boy we would often gather around the pianoforte as a family to sing. And if that sounds weirdly Victorian, well, yes it was. I remember Mum’s crinoline used to get terribly in the way in our small dining room. Full and fair ones; come and buy. All the year where cherries grow. 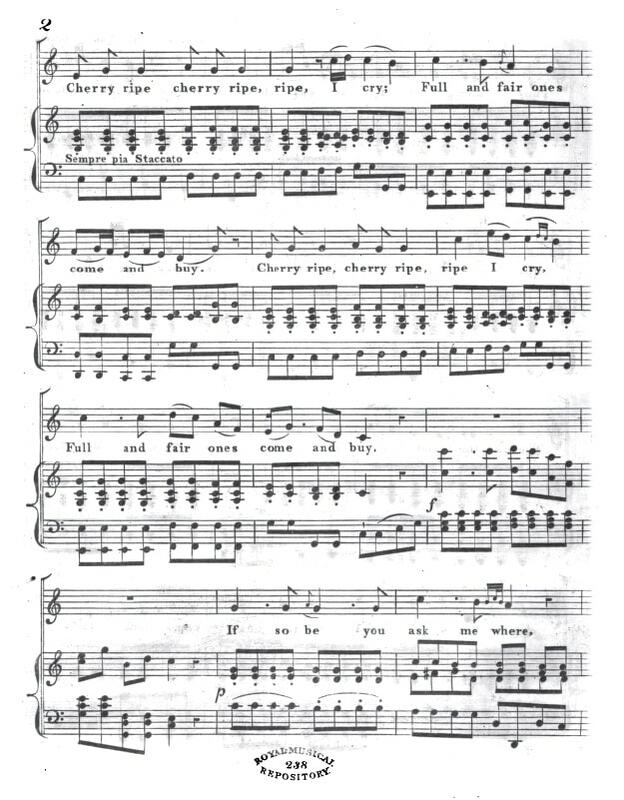 I remember learning this song, which I would play on the piano as my father sang in his rather fine high baritone. Goodness, enough reminiscing. What on earth has this got to do with Tim Tams? Well, here we are with the second in the new range of Messina flavours. Choc Cherry Coconut. Now, when I think of dark chocolate, cherry and coconut, I don’t immediately think of ice cream. In fact, I have never ever seen choc cherry coconut ice cream. Is it even a Messina flavour? 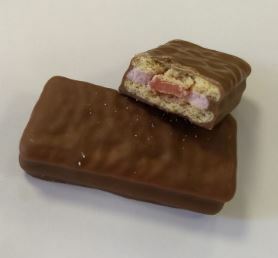 Anyway, the link between these Tim Tams and all this cherry tomfoolery is very marked. 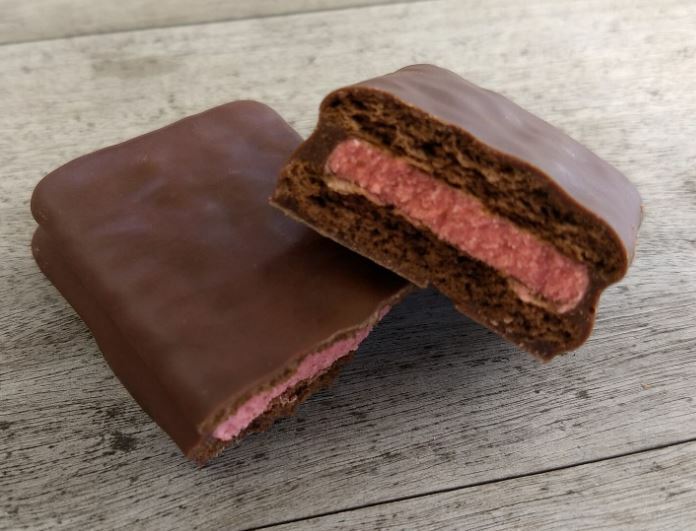 You see, these Tim Tams taste exactly like a Cherry Ripe bar. The filling even looks like it. They are more crunchy, and the chocolate ratio is greater, but to all intents and purposes they are the same. Well, I would venture perhaps ever better, as the biscuit texture and additional chocolate actually improve on the somewhat flabby original. I like Cherry Ripe. So I liked these, and an going to give them an eight out of ten. Well done Arnott’s. If you don’t like Cherry Ripe, then steer clear. Oh dear. They did it again. Twice. You see, I wasn’t that much of a fan of the original Messina flavours, but it seems Arnott’s were so thrilled with the success of the collaboration (or ‘collab’, as it seems to be called these days by those millennial types) they have done some more. Then, it seems they based it on another dud from the archive – the Turkish Delight flavour. This one, as you will recall, holds the honour of being the joint worst Tim Tam flavour ever created (or at least reviewed by yours truly). Oh dear. My expectations for this are not high. Still, there is some excitement in the packaging. This new range of ‘gelato inspired’ flavours is labeled not ‘Tim Tam’ but ‘Chill Me’, and you are urged to keep them in the fridge and consume them cold. This I would say is good advice for any flavour of Tim Tam, so it’s encouraging to see Arnott’s finally taking notice of my exhortations. To make the whole fridge thing even more thrilling, the words change colour when they get cold. Yes, you read that correctly. The words change colour when they get cold. Oh my goodness. Will the excitement never end? Christmas. Cheese. Those two words are intimately associated in my mind. When I was growing up, Christmas was that time of year when the fridge was piled high with more then just the usual economy Cheddar or Cheshire – delights such as mellow Stilton, rich Camembert, tangy Danish Blue. Later other more exotic offerings were also included – Shropshire Blue, Stinking Bishop, soft goats cheese. Mmmmmm. And, being Christmas, you were allowed to eat it – normal rationing was suspended for the festive period. This is a tradition that Mrs Chillikebab happily has adopted, so as I speak the fridge is groaning with a cornucopia of cheesy delights. 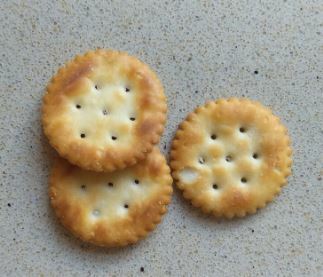 And to go with such a feast, you need crackers. Arnott’s to the rescue – or more specifically, the Arnott’s Cheeseboard Assortment to the rescue. So how does this selection work out? Is it a worthy partner to my festive cheeseboard? 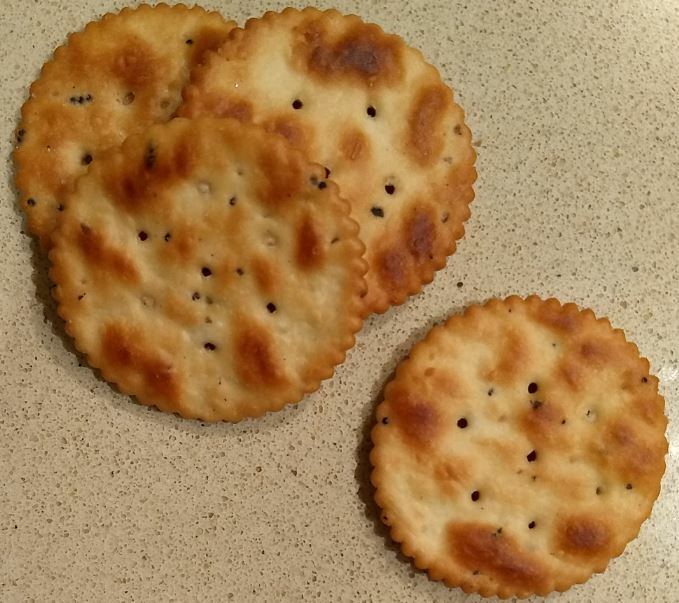 The selection features six different crackers – Sesame Wheat Cracker, Water Cracker, Harvest Wheat Cracker, Sesame Water Cracker, Stoneground Cracker and Entertaining Cracker. 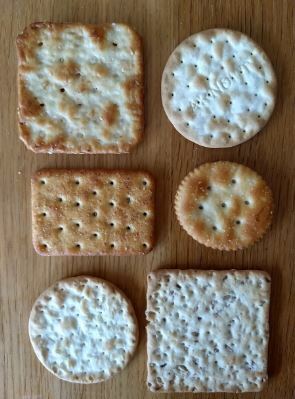 Keen followers of either this blog, or Arnott’s biscuits (or perhaps both) will immediately realise that most of these crackers are not ones you can actually buy on their own. It’s a bit odd. 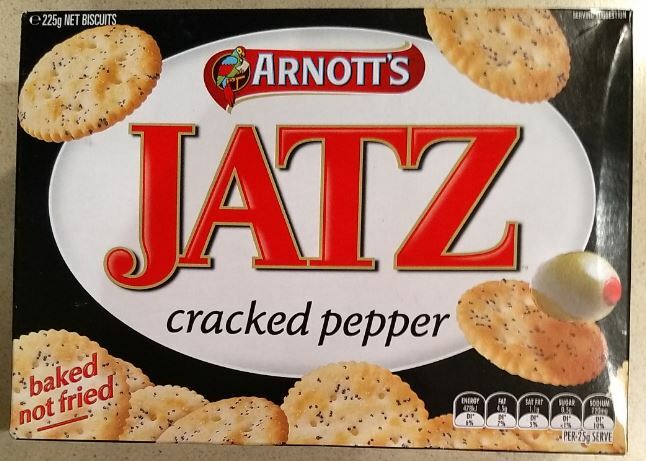 ‘Entertaining Cracker’, but not Savoy or Jatz? ‘Harvest Wheat’, but not ‘Country Cheese‘? ‘Stoneground’, but not ‘Multigrain‘? Indeed, the only bone fide variety from the main range is the water cracker – probably the most boring one of the lot. When Arnott’s make sweet biscuit selections, they include ‘all your favourites‘. But here, it seems they have taken a different approach. 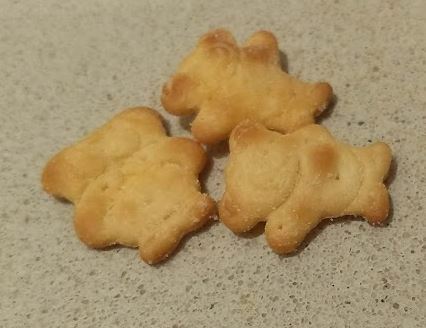 Rather that giving a selection from their rather wonderful range of crackers and savoury biscuits, they seem to have baked some lower-quality alternatives and served them up all together the hope we won’t notice. Boo, hiss, Arnott’s. These are not up to your normal standards. They are dry, flavourless, lacking in texture and boring. I’m going to give them a three out of ten. This is not worthy of accompanying my cheeseboard. 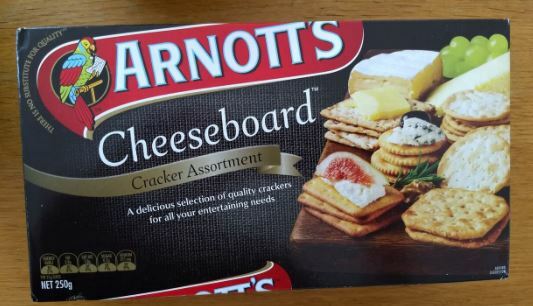 Oh, and ‘Entertaining Cracker’ is a terrible name. And it isn’t.